4kW AC grid-tied battery backup system with 8kWh’s of battery storage operating pre-selected portions of the house. 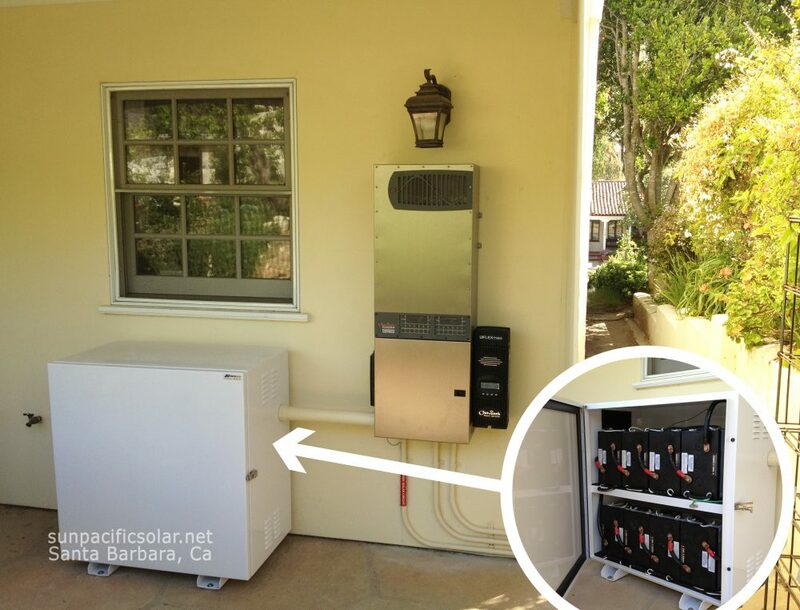 Whether you have a residential or commercial solar installation, having a battery backup system or a generator is a good option for either. 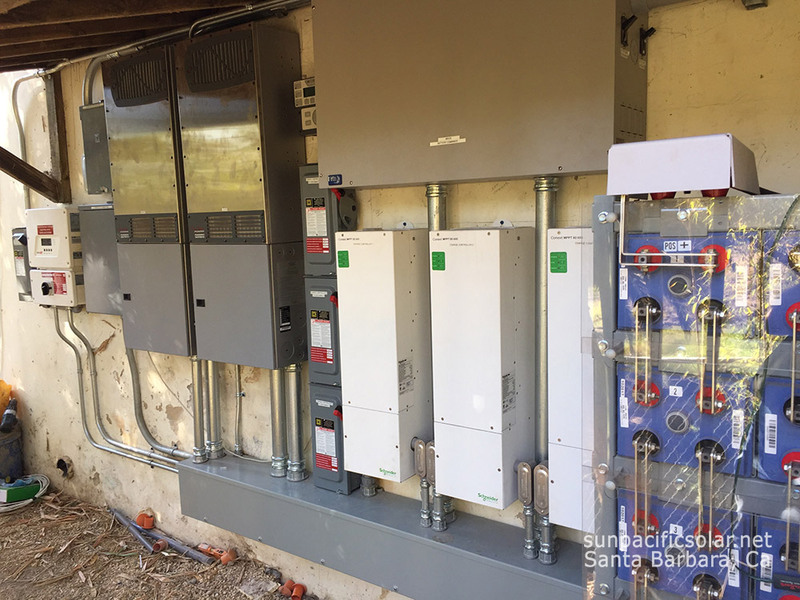 If you install a grid-tied solar electrical system and experience a power outage from the utility company, your system will shut down as required by law. To avoid losing power completely, you have two options available. The first is to have an energy storage system (battery backup system). 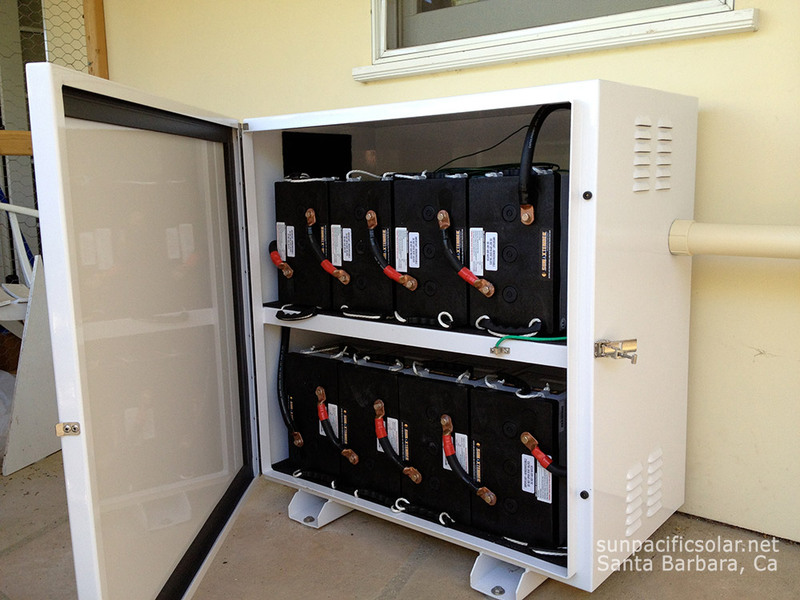 In the event of a power outage, energy stored in your batteries will power your home or business at night, and during the day your solar panels will continue to provide you with power as well as recharge your batteries. You become the owner of your own power company! 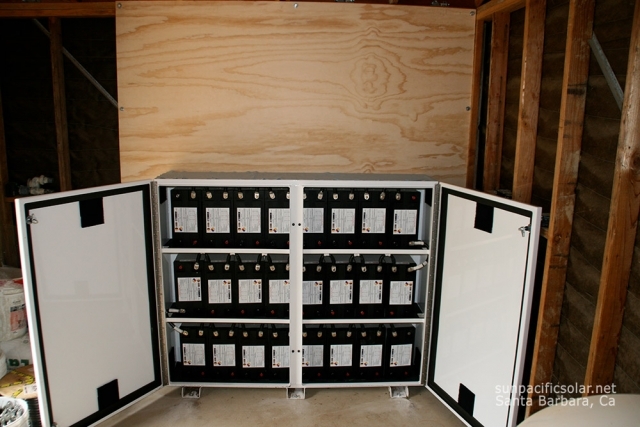 The battery backup system will give you peace of mind and security. With our optional custom automatic transfer switches, you can power your whole house/business or just a few essential circuits such as your refrigerator, and a few lights and plugs, what we call your “critical loads.” A battery backup system will start up automatically when the grid goes out, making this the best backup solution for medical equipment or other loads that require continuous power to operate effectively. 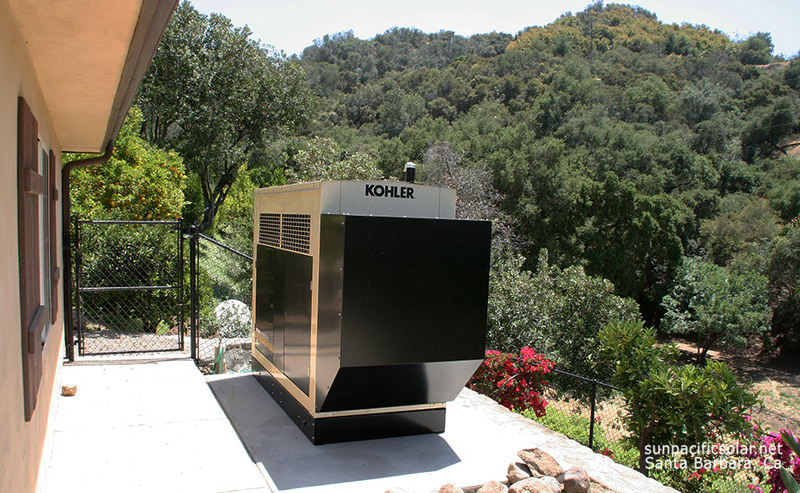 The second option is to have a generator that is powered by natural gas, propane or diesel. 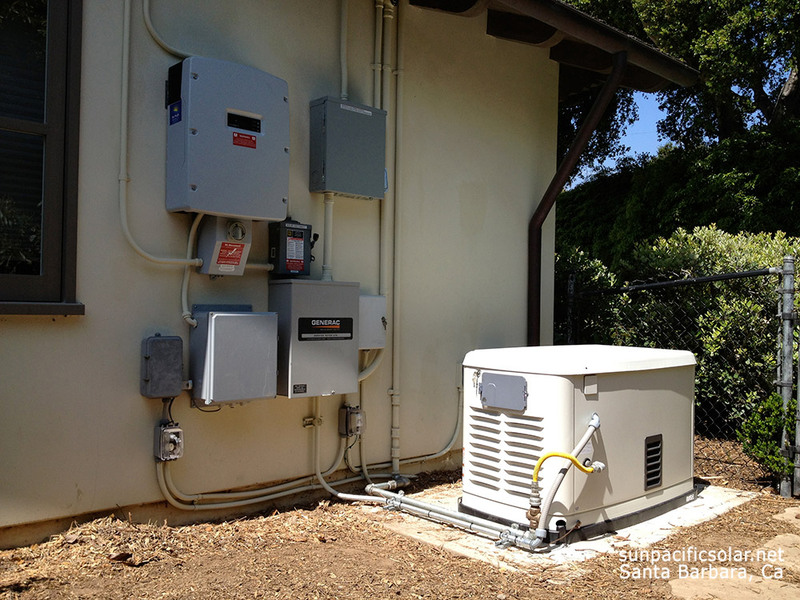 Small portable generators can be bought at a hardware store and installed without a permit (this is not considered a permanent installation), while larger, permanently installed generators are required by law to be installed by a licensed electrician. Only permanently installed generators can back up your whole home/business and be equipped with an automatic transfer switch. 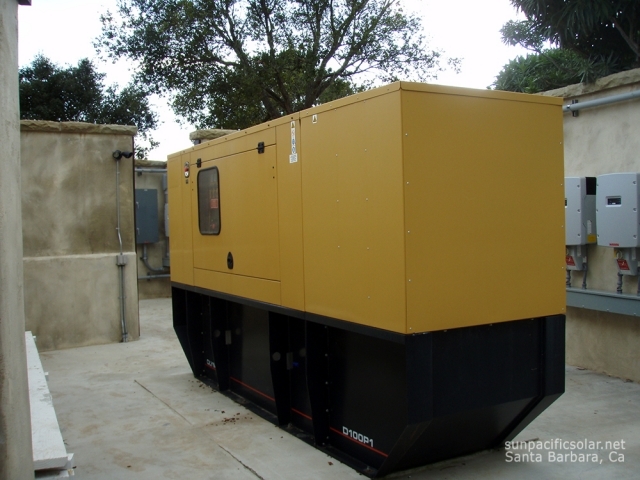 Loads backed up to a small portable generator must be plugged in via extension cords and these generators can only accommodate a manual transfer switch. If you need to back up any medical equipment or other loads that require continuous power, you will need a UPS (uninterrupted power supply) or battery system to provide a few seconds of power until the generator comes online. 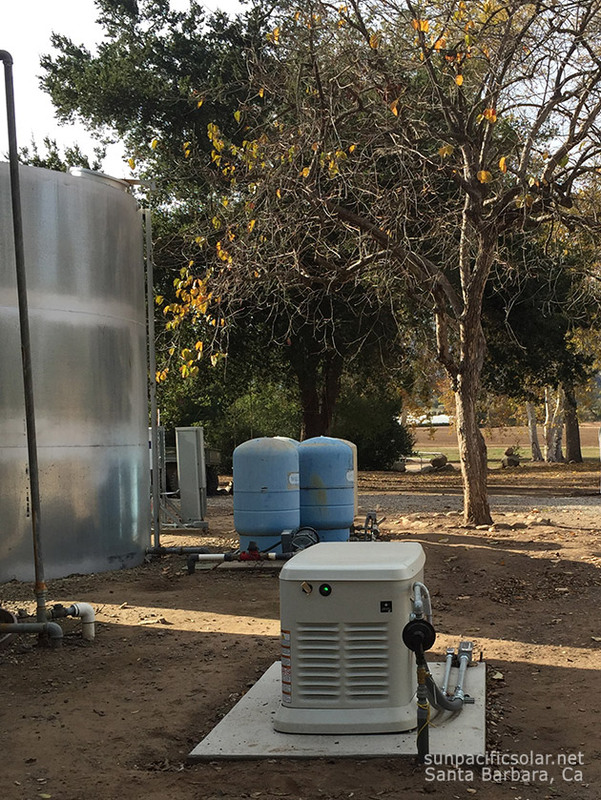 Another consideration is that although the initial cost of a generator is less than batteries as a general rule, they require regular maintenance. Like any motor, it requires oil changes and fine tuning, and needs to be exercised every 1-2 weeks to charge the battery for the electric starter and lubricate the system. Depending on your location, generators may not be permitted by the local jurisdiction because they can be loud and the off-gassing can be dangerous to you and your neighbors, depending on its proximity to a home. Additionally, you are responsible for any property damage (yours, your neighbors and the power company’s) that it may cause. 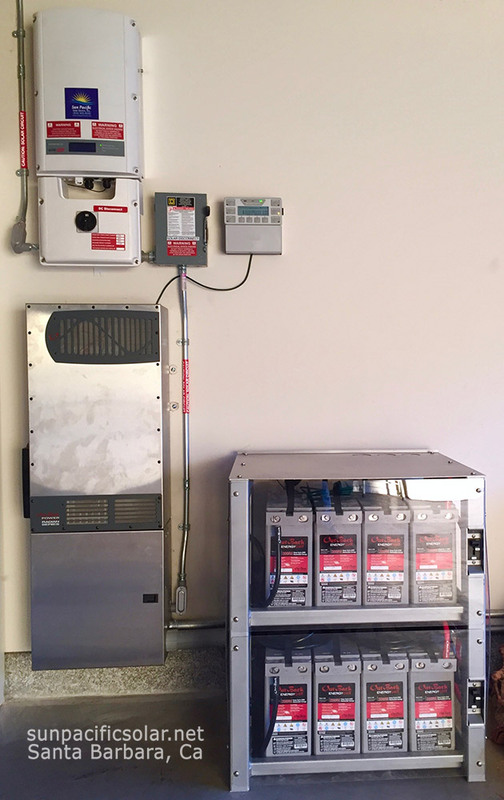 Commercial installation specifically have distinct benefits from battery backup systems. While a generator will provide a business with backup power within 30 seconds to 2 minutes after an outage, a battery system will provide seamless energy to critical equipment (medical loads, computers, etc.) in the case of emergencies. 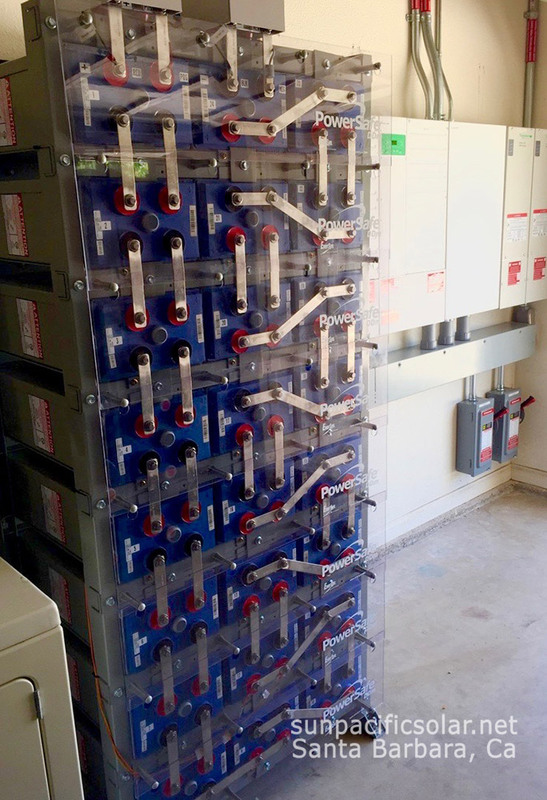 With a battery backup system your business can also take advantage of time of use shifting (using your battery during peak hours) and peak load shaving to avoid incurring extra charges when your usage hits certain kW tiers. By utilizing these tactics, a battery backup system can reduce or even completely eliminate demand charges that can make up over half of a commercial electricity bill. 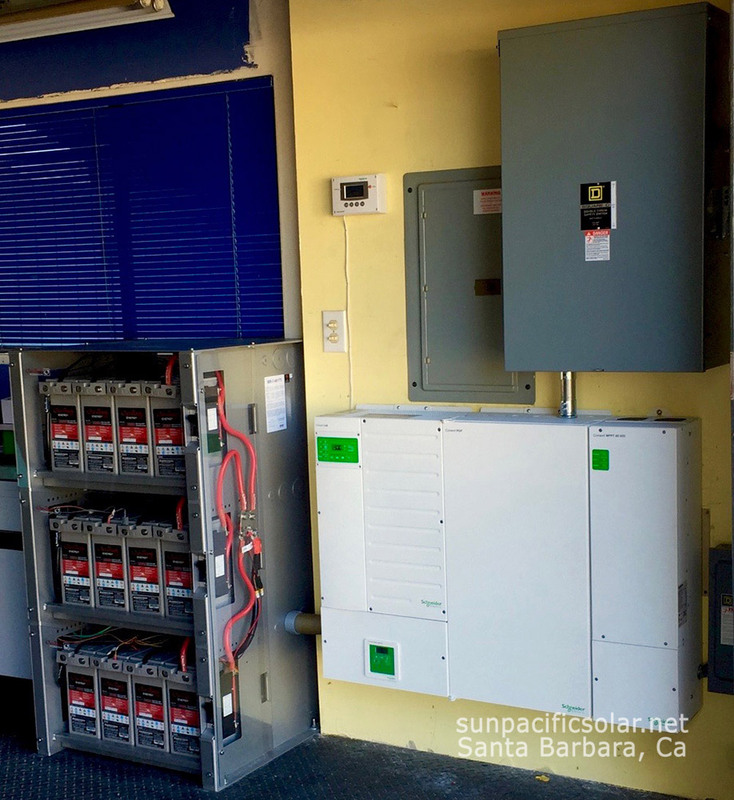 Sun Pacific Solar Electric can install any type of battery or generator, however we are particular about the products we adopt because quality is important to us. 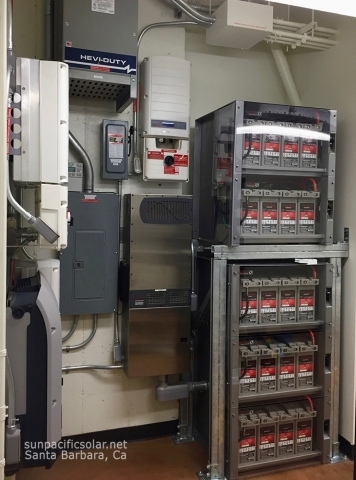 All of the electrical work required to install a backup system is done in house by our licensed and trained electricians. 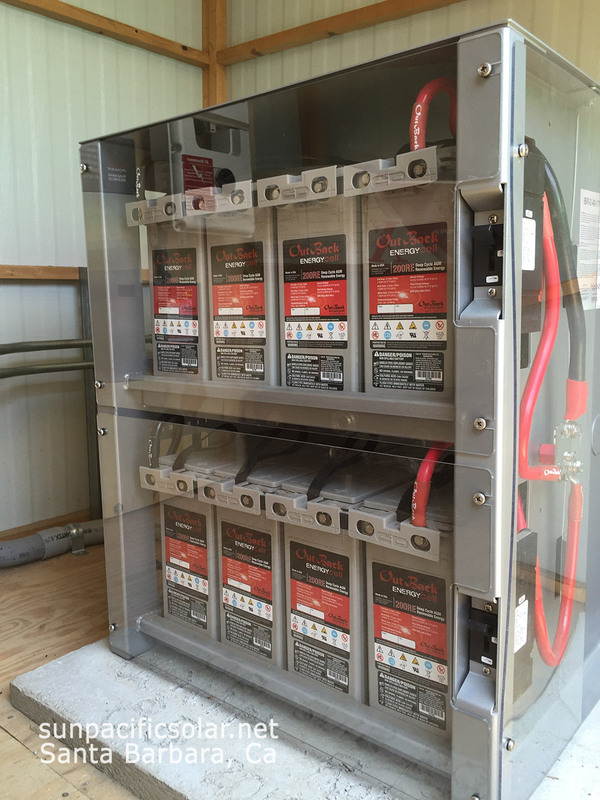 For more in depth information about the types of batteries or generators we recommend, follow the respective links.